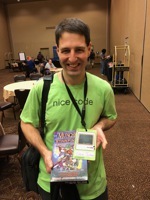 CodeMash is an annual convention held at the Kalahari Resort and Convention Center in Sandusky, Ohio. 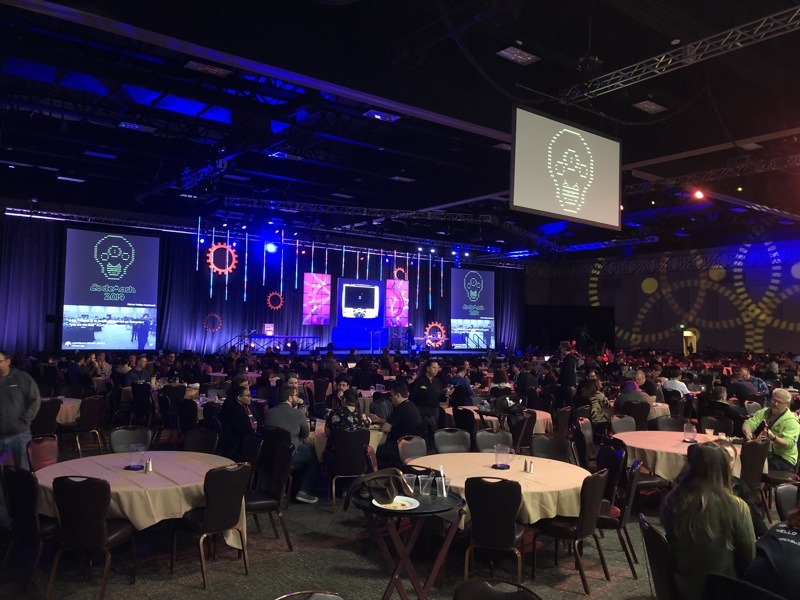 Several thousand people descend on the show for a few days of coding, seminars, and visits to the outdoor hot-tub bar. (In Ohio. In January.) 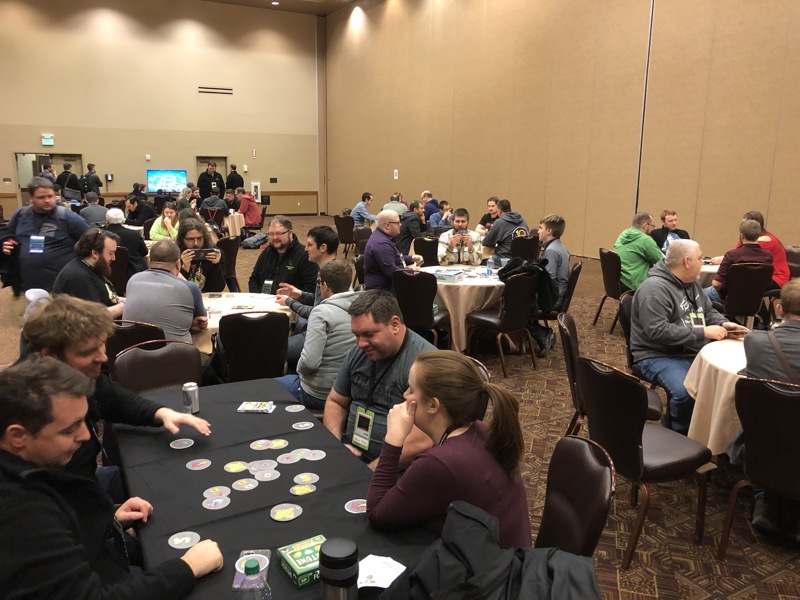 For several years, we've curated the open-gaming area in conjunction with room sponsors Improving to give attendees and their families a place to play a variety of games while they wait for their code to compile, or when they've had enough screen time for the day. 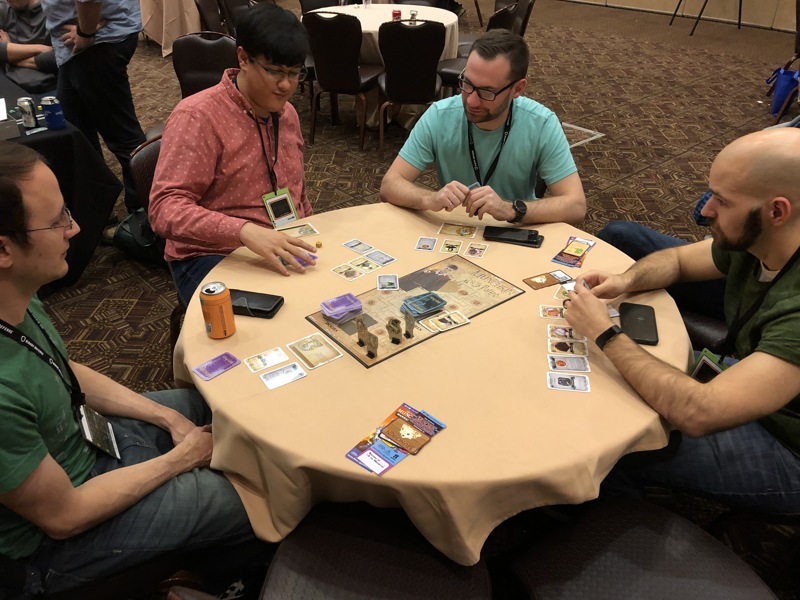 Of course, Steve Jackson Games figured prominently this year, and even a couple of pre-production games of Munchkin Warhammer 40,000 and Munchkin Steampunk: Girl Genius got played. And then this guy showed up and wanted all of his games back, and since we can never tell which clone body he's in, we thought it best to comply. We'll get more games and see everyone again next year!